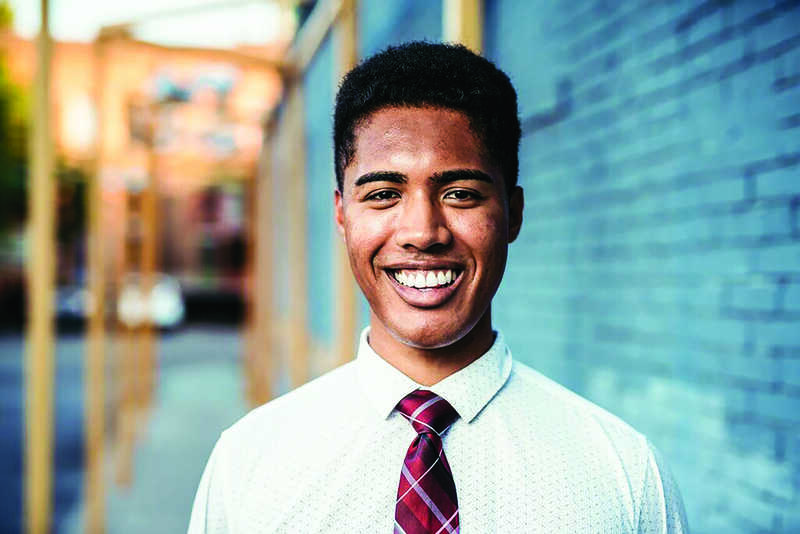 Alexander Norton III is a senior here at the University of Utah who is currently pursuing a double major. His degrees will be a Bachelor of Science in political science and an Honors Bachelor of Music with an emphasis in vocal performance. In short: He’s an opera singer. The bounds of human emotion are no small thing to express. Norton explained his practice schedule and the process of learning a new work. “I practice whenever I find time,” he said. 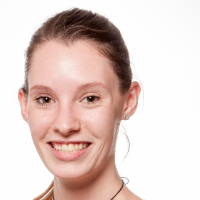 “I start by writing into my score the International Phonetic Alphabet (IPA) pronunciations and word-for-word translations so that I know what I’m singing and how to sound fluent in my text. I then usually practice in 30-minute increments. I start with a healthy 5-minute warm up and then go into singing through the text with lip buzzing or tongue rolling. Then I sing on a neutral syllable. I also speak the rhythms slowly. Lastly, I incorporate the text,” Norton explained. On top of all that, Norton sings in multiple languages, each with unique phonetic notations and sounds. “The most popular operatic languages are Italian, German, English and French,” said Norton. Norton’s favorite work to date was a French show “Candide” adapted from Voltaire’s novella. Norton loves how the opera “basically destroys the concept of optimism where ‘everything is for the best in this best of all possible worlds.’” He said, “It is such an eclectic work, but it shows how we all as humans can live our lives with honesty and ‘make our garden grow.’” He has done a lot of growing in his time at the U. 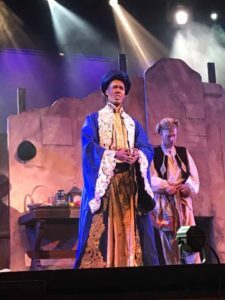 He has performed “Candide” twice, first at the U, and then in the ensemble of Utah Opera’s production. He is currently working on three projects. 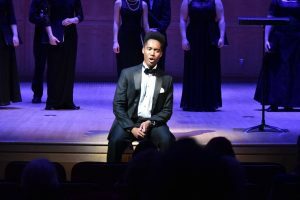 He will perform the role of Masetto in “Don Giovanni” at the U this semester, in addition to completing his senior recital. His recital will feature a compilation of his time at the U’s School of Music. He is also working on his honors thesis— “I cover how music theatre in Adams’ opera ‘Nixon in China’ and Miranda’s ‘Hamilton: An American Musical’ creates a healthy, authentic space for political discussion in our polarized society.” Norton truly believes in the power of old-fashioned opera. “It unites a diverse audience in the sharing of a character’s joy and pain. Plus, I feel like it is a two-for-one performance. You get to hear both professional orchestral work and professional vocal work,” said Norton. However, he is also interested in the adaptation of opera to the twenty-first century. Norton particularly admires singer Anthony Roth Costanzo. “He is very inspiring. We are different voice types, but the way he is incorporating opera into music videos such as ‘Glass Handel’ is so fascinating. He shows how opera can adapt to the twenty-first century and be more accessible to all.” Opera is no easy endeavor, and while the art form is still well-funded, it is less popular with younger generations today than those of decades past. A classical singer must sing and perform for years to get good at the craft. “One must study with different professional-level voice teachers, be critiqued in masterclasses, and be flexible to the needs of different directors. Lastly, one has to sing with superb technique at all times so that his or her voice can project over an orchestra,” Norton said. “Most aspiring opera singers study vocal performance further in graduate school because the voice doesn’t fully mature until around age 30,” and time management can be difficult in the maturing process. “A music student has to juggle at least 15 credit hours of classes a semester, make time to practice and memorize his or her repertoire, rehearse and perform with an ensemble each semester, and stay healthy. If you’re sick then you can’t sing. The industry is also highly competitive and they should be aware of the financial struggle it will be.” Despite the hardship and somewhat dubious start, Norton loves what he does. “My favorite part of singing is getting to share the deepest, most vulnerable, parts of my life experience” and hearing truly good opera is a magical experience. The power in a fully matured operatic voice can be felt in the audience’s bones. We can’t wait to hear Norton’s voice reach its pinnacle.